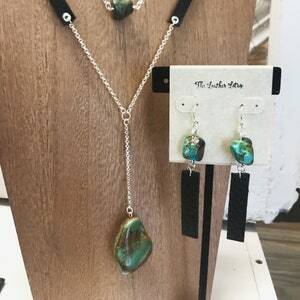 Let this beauty add some shine to your look. 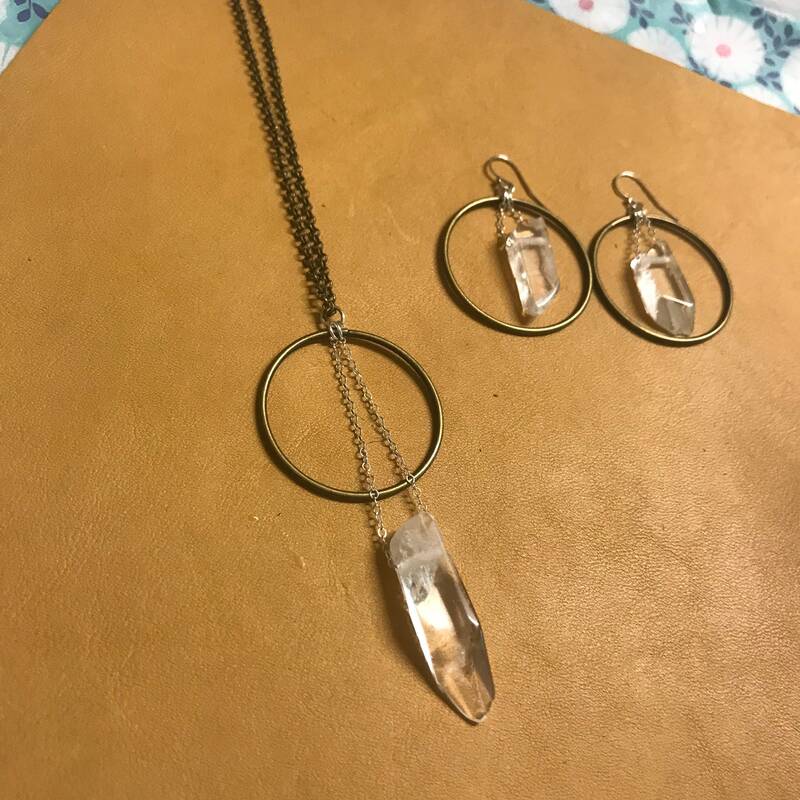 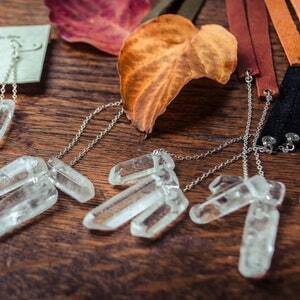 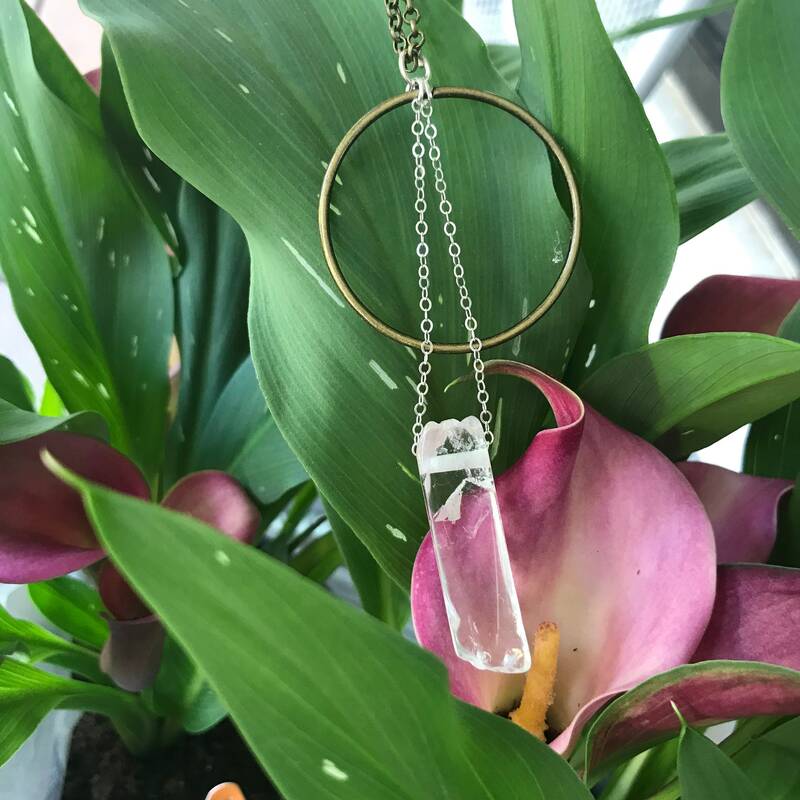 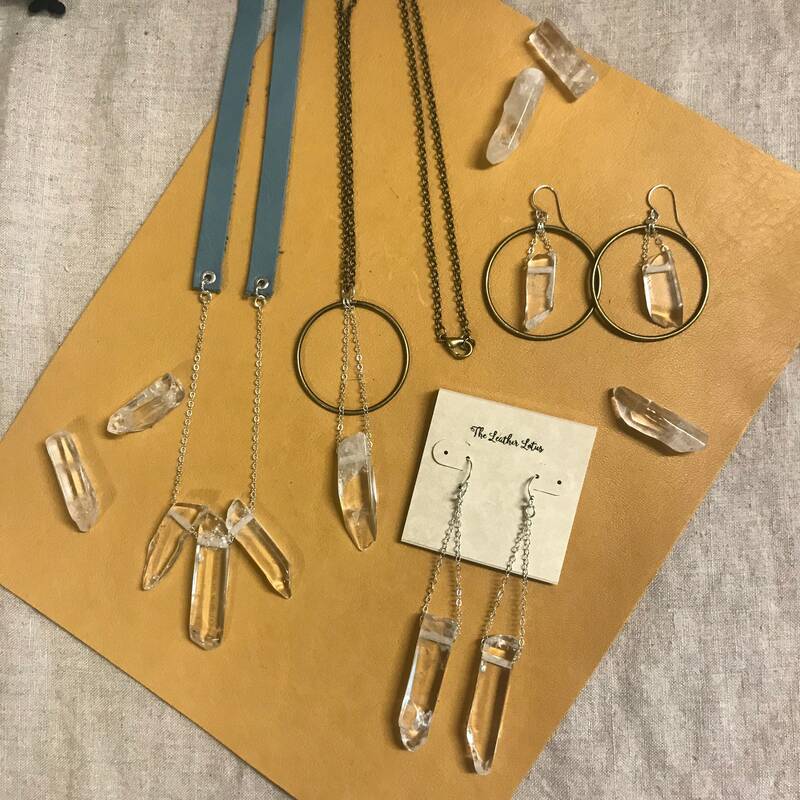 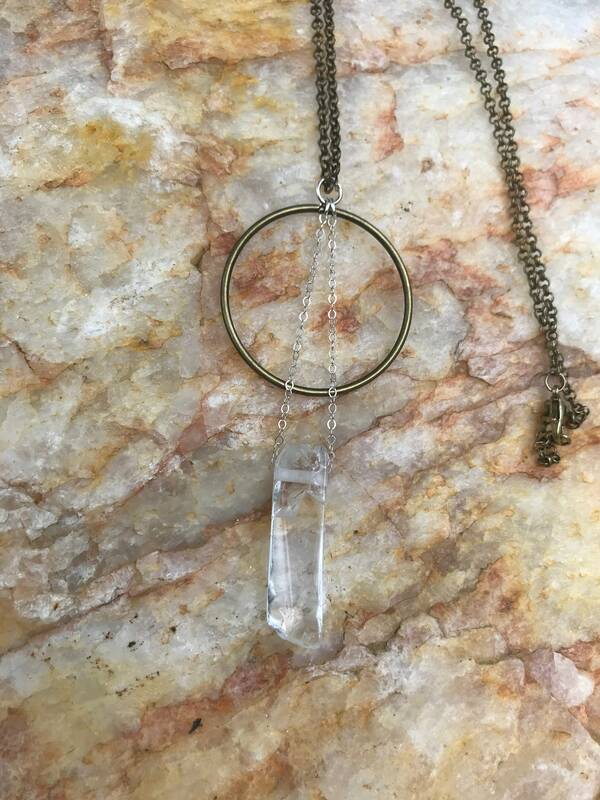 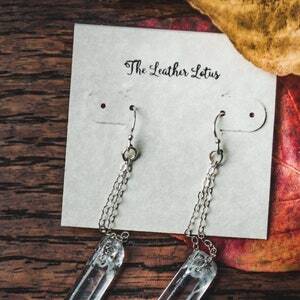 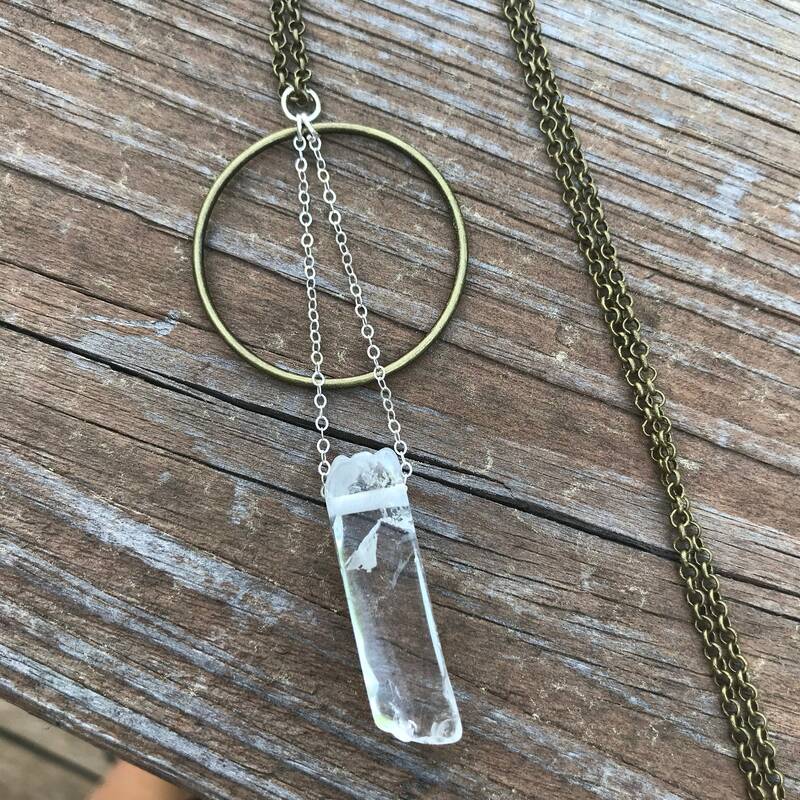 A crystal clear Quartz slice hangs from Sterling Silver chain, which dangles from a bronze colored hoop. 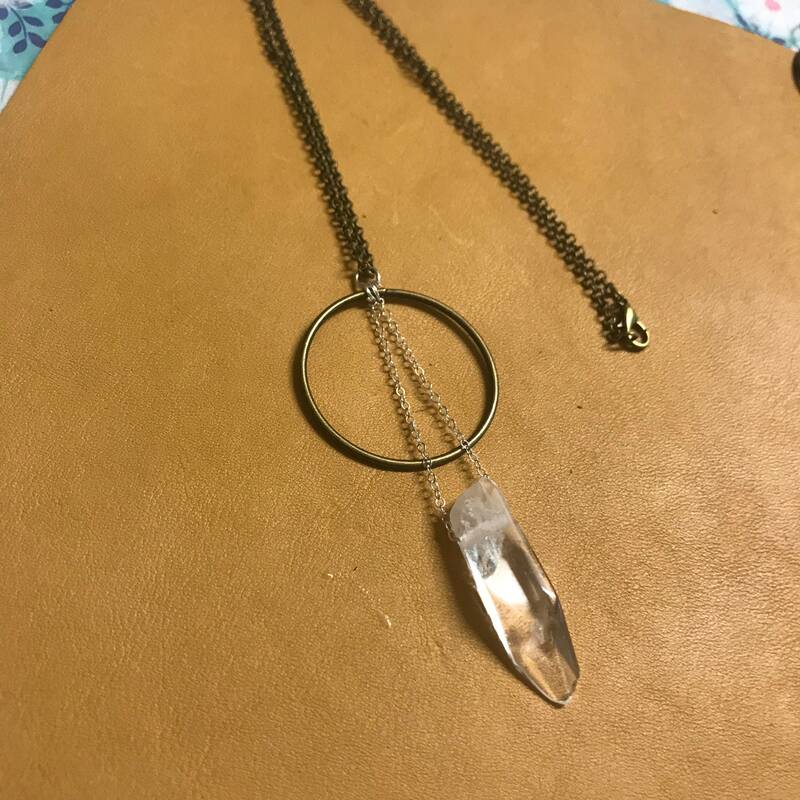 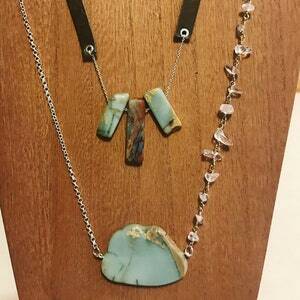 The mixed metals keep this piece fun and casual, the perfect addition to any outfit!